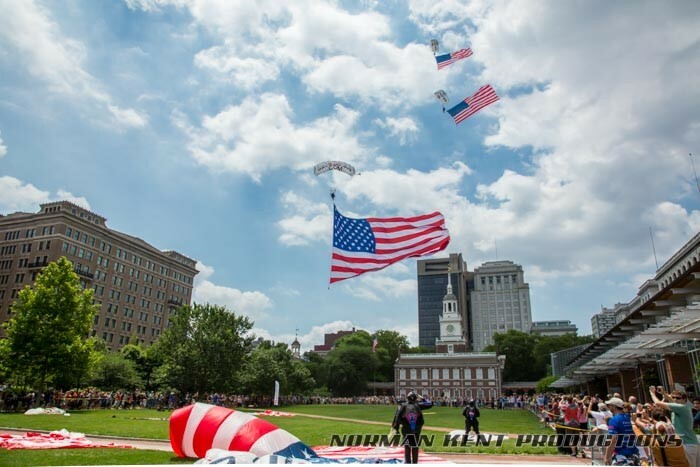 On Flag Day Team Fastrax™ flew six massive American Flags over Philadelphia, PA and landed in front of Independence Hall. We are proud to be an American Veteran Owned Business and fly our nations colors. Team Fastrax™ is sponsored by Selection.com. They are the most ambitious professional skydiving team in the world. Team Fastrax™ has performed exhibition skydives all over the world for audiences large and small as a patriotic display or as a product promotion.